6-channel 24 foot PedalSnake BaseSnake; (4) 3wire channels, (2) white 5wire channels, 24 feet overall length. See BaseSnakes and Pigtails. Channels accept G-Line Pigtails and P-Line Pigtails. 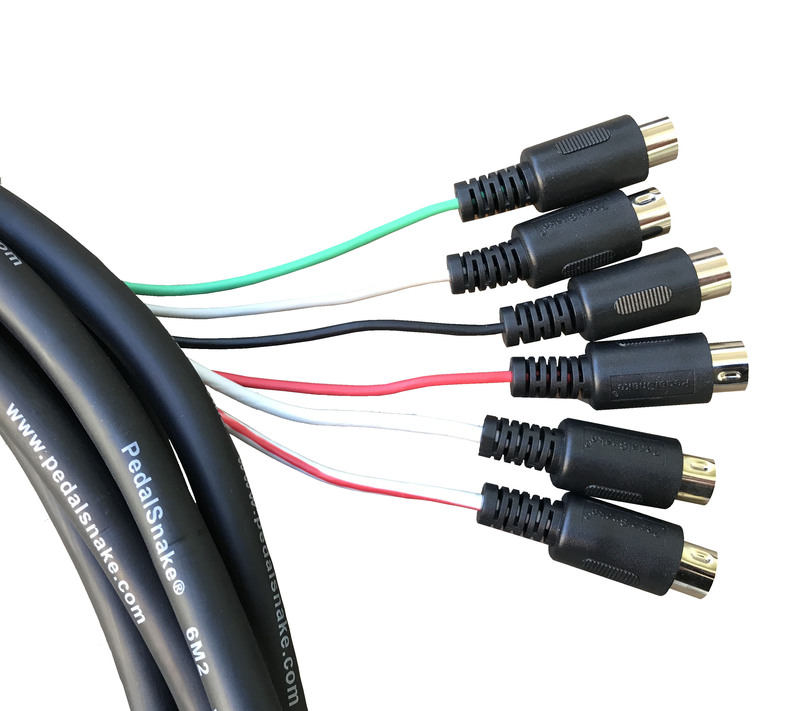 Bare channels have 5pin DIN plugs for MIDI applications, or for amp footswitch lines having 5pin DIN plugs.